Bernard is just ecstatic! He has been invited to have dinner with the Highbrows. 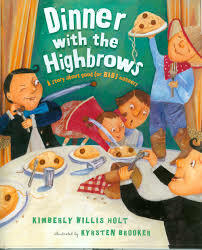 The Highbrows seemed to live the high life, so his mother wants him to have good manners at the dinner. Bernard’s mom spends the week leading up to the dinner teaching Bernard some very important manners. Once Saturday rolls around, Bernard feels nervous trying to remember all of the manners he’d learned, but the Highbrows are not behaving the same way. Throughout dinner Bernard does his best, but the Highbrows have a hard time with manners. Bernard ends up helping clean up at the restaurant because his mother taught him to help with the dishes. Dinner with the Highbrows teaches many good and bad manners. This book is great for teaching and comparing good and bad manners. Bernard's character was developed well enough and demonstrated his conflict. The book, however, made the bad manners seem fun and silly. The illustrations take up the whole page with words on top of the illustrations. While the book is good, it doesn’t necessarily hold the reader's attention the whole time. 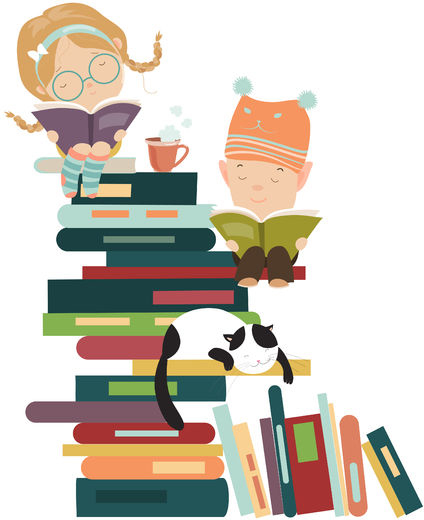 Younger children would get bored with it about halfway through the book. Overall, this book would be good to teach manners and has fun illustrations.